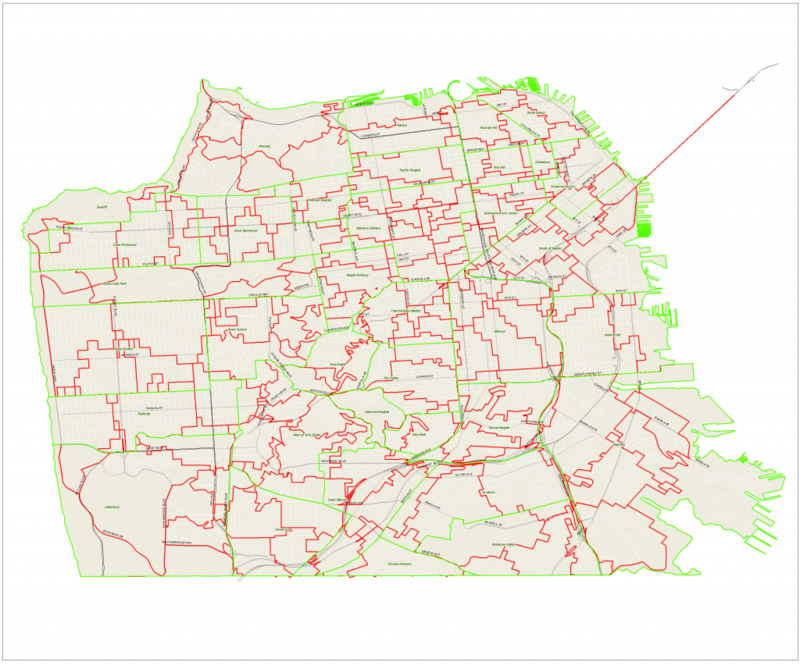 (below) SF city planning districts in green, betashapes in red. (below) SF city planning districts in green, realtor hoods in blue, betashapes in red. (below) SF city planning districts in green. (below) Realtor hoods in blue, beta shapes in red. (below) Realtor hoods in green, planning districts in blue. (below) Realtor hoods in blue. This entry was posted on Sunday, August 21st, 2011 at 4:25 am	and is filed under Mapping, Self promo. You can follow any responses to this entry through the RSS 2.0 feed. Both comments and pings are currently closed. This is really awesome stuff. 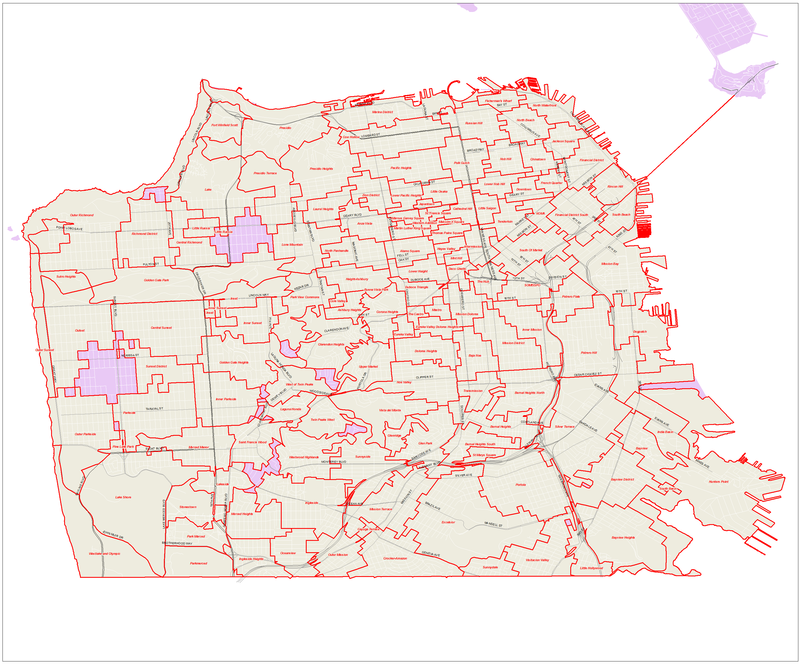 I did something quite similar to the third map as part of my master’s thesis project (http://groups.ischool.berkeley.edu/mentalmaps/boundaries.html), minus generating my own data set. Any thoughts on how to effectively display overlapping boundaries other than creating multiple maps?